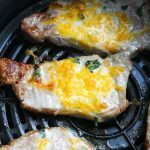 Air fryer boneless pork chops recipe that very easy to follow and makes a great main dish. 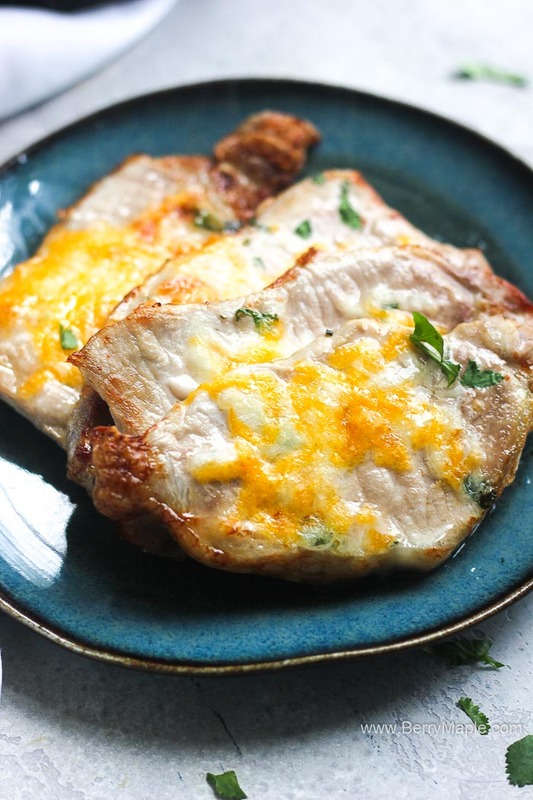 Cheesy and juicy, this thin pork chop recipes is good for keto, weight watchers and low carb diet followers. 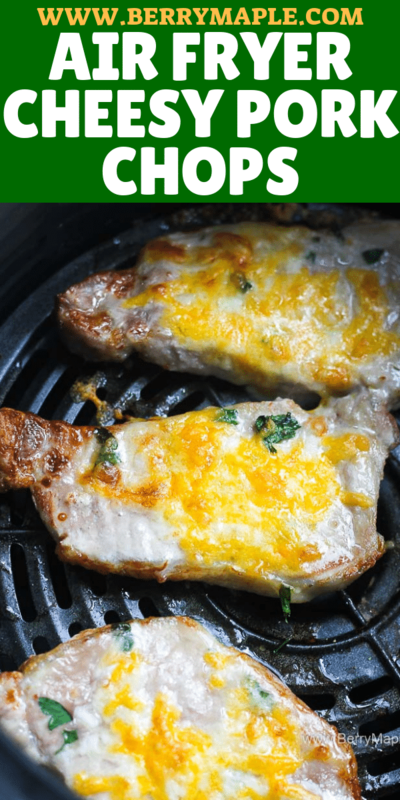 Pork chops are very easy to overcook, so look closely after them, once they reach 155 degrees internal temperature, they are ready. Cook it! If you want them to b crispy, dont add cheese on top. It make them juicy but soft. 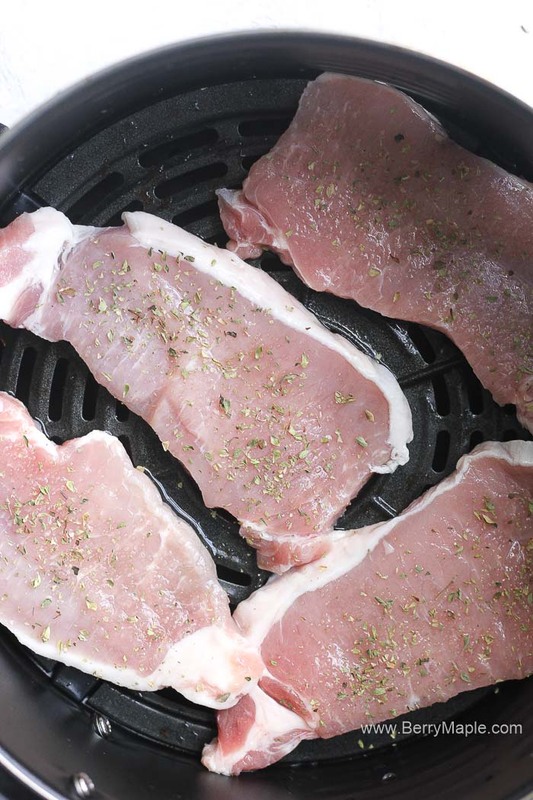 So, for thin pork chops you will need to cook them 4 minutes on each side. 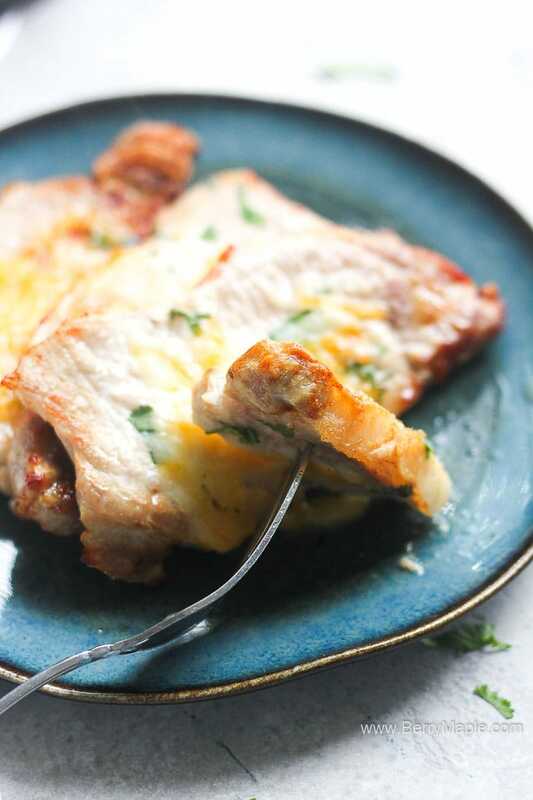 For thick, cook 8 minutes on each side. 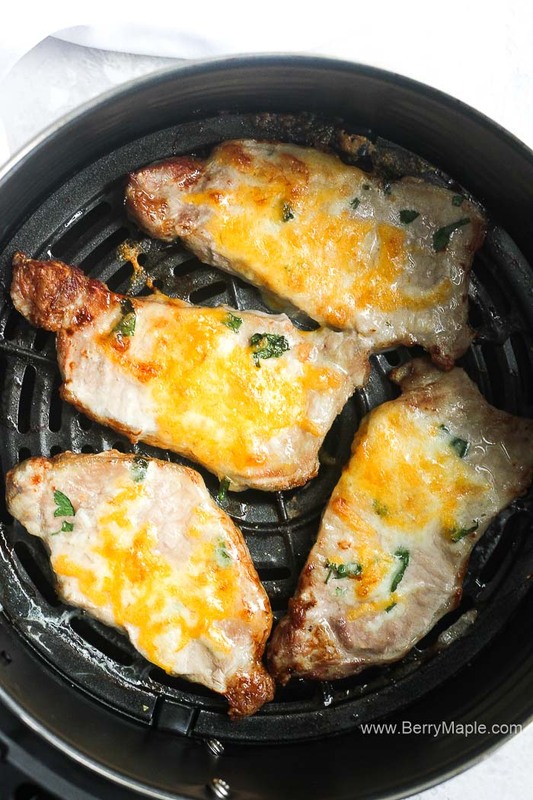 Use any kind of air fryer for this recipe. I bought mine in COTSCO, it called GOURMIA and i cant be more happy with my purchas. The air fryer was cheap and works and works like a champion! 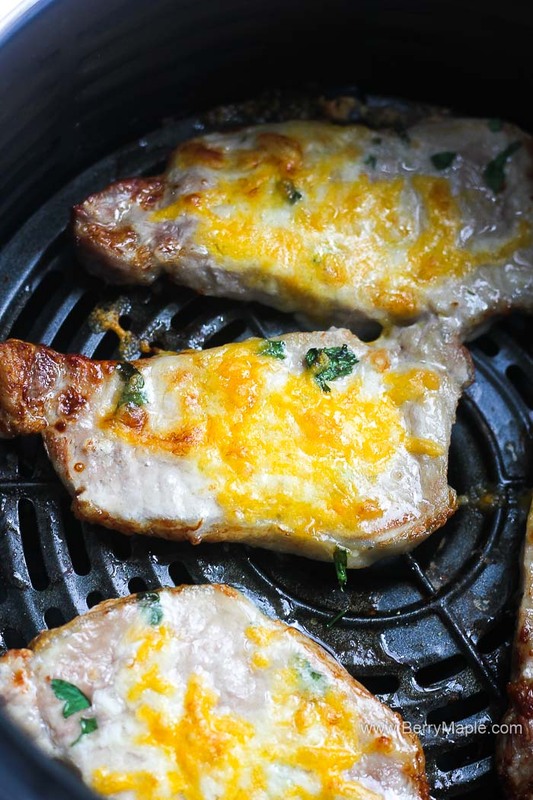 Rb pork chops with salt, garlic and cilantro. Place in to the air fryer. Cook for 4 minutes. Turn them on the other side and cook for 2 minutes. Add cheese and cook for another 2 minutes. Done!